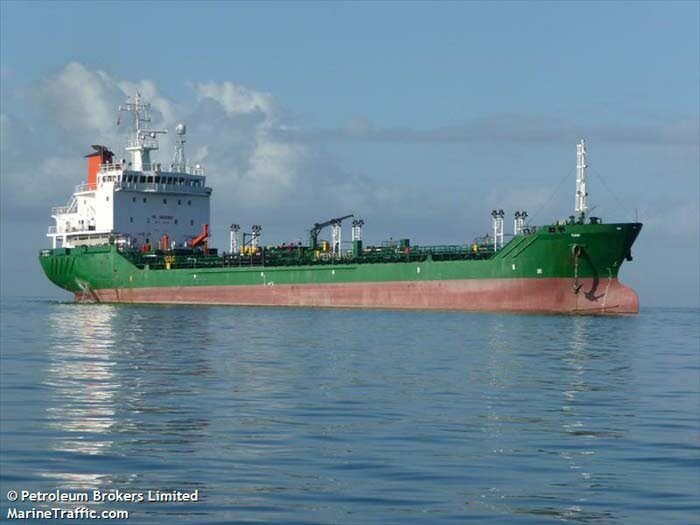 The Nigerian oil tanker MT Tumini off TCL’s jetty, Claxton Bay, has been sold for US$. 5. SIX years of living on a Nigerian boat off Claxton Bay has ended for five Guyanese seamen. They are now back in their home country, the boat, an oil tanker, sold last week Thursday following a High Court judge ordering its arrest in February 2017. Justice Devindra Rampersad, presiding in the Hall of Justice, had ordered the MT Tumini sold within nine months or the court would have done so by private auction. The crew had sought the court’s intervention, claiming US$400,000 in wages. The boat is still docked off Trinidad Cement Limited’s jetty in Claxton Bay. The crew were Rakesh Jim (chief officer); Foy Fredericks (chief engineer); Lawrence Daniel (second engineer); Mohamed Gadwah (second officer); Neil Rampersaud (assistant engineer/oiler). Gerald Andrews was the boat’s local agent. He said in an affidavit that via a mortagage agreement between Petroleum Brokers Ltd and Echo Bank, of Lagos, Nigeria, the latter became MT Tumini’s owner. Jim said in his affidavit that MT Tumini was in dire need of repairs and since it was abandoned, the Guyanese crew remained on board because they were not paid their wages. Immigration officers visited them monthly to update their status when they vowed they were not leaving until they were paid. Using a dingy, they came to shore and bought groceries while residents helped them with drinking water. Under maritime law, the crew must be paid from proceeds of the sale of any vessel arrested by the court. Confirming with Newsday yesterday, Andrews said that a company operating in Panama, bought the vessel and it will be leaving Claxton Bay soon. Maritime tracking of vessels along the west coast of TT, revealed the MT Tumini is getting set to leave for Guyana. The crew have since departed the vessel. Reply to "Relief for 5 Guyanese seamen…"